Congratulations with your purchase of a Pharma Nord product. As an extra service we would like to offer you one of our other quality products – COMPLETELY FREE OF CHARGE! Select your free product below – and we will send it to you with all expenses covered. in which Pharma Nord product did you find this code? Ar Jūsų pateikta informacija teisinga? ** Information and relevant offers are sent out by e-mail 4-6 times a year. You can unsubscribe to this service any time. 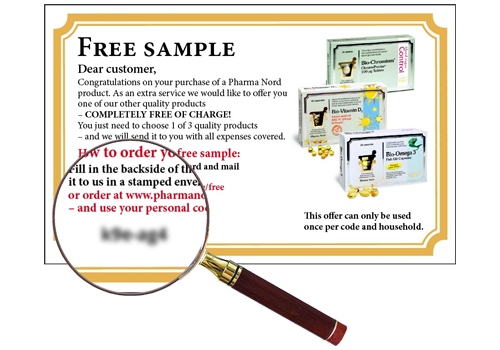 Pharma Nord protects your information and does not share or sell it to third parties.